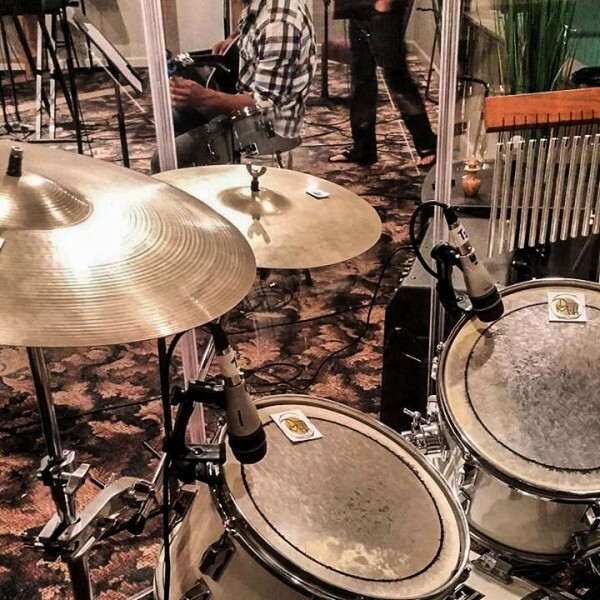 Drum Muffs and Cymbal Mutes have been an important addition to many music ministries throughout the USA. All too often, cymbals and drums are too loud for the room. 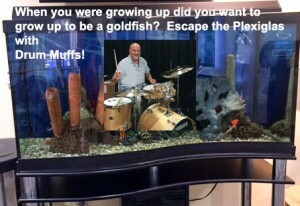 Several churches have been able to eliminate Plexiglas surrounds by using a combination of Drum Muffs and Cymbal Mutes. Sound engineers tell us they are able to eliminate gating in live and recording mixes. If you want to reduce the volume by 3db, simply use Drum Muffs on all drums and cymbals – you will likely need a Mega Pack. (Photo Left) “Just put Drum Muffs on the drums & cymbals on the church kit. World of difference mixing, & worship team is happy! They’re not expensive at all. I was able to really bring down the volume of the kit in the room (especially the cymbals) and the volume and clarity of the mix overall. The tone of the kit is improved, too.” Marc Frigo – Multi-Platinum Recording Engineer who donates his time on Sunday worship services. Many music ministries are replacing drum shields with Drum Muffs and Cymbal Mutes. This is another recent comment. I used your Drum Muffs this past weekend at a rehearsal on Saturday auditioning with a new Band and on Sunday morning with our Church Worship Band. The results were very positive in both situations. The audition they already had a drum set which I never played on and I was able to adjust the set with the Drum Muffs to get a good quality sound on a not so good set and the Muffs were able to enhance and control the sound very well. With the Worship Band, It’s been a struggle over the past several months trying to control the volume on my acoustic set as the sound would reverberate and I’m not one one to put tape on my drum set. We were considering putting in sound absorbing material on the stage but after using the Drum Muffs it’s not necessary. The few dollars they cost saves us big dollars in the long term. What you advertise is “right on.” I like the fact that I can put the Drum Muffs on and take them off depending on where I playing. I feel like I now have control on how my acoustic set can sound without losing the musical tone quality. 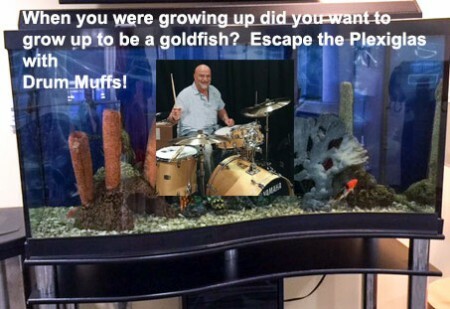 I’ve been playing Drums for over (40) years and I would highly recommend your product.